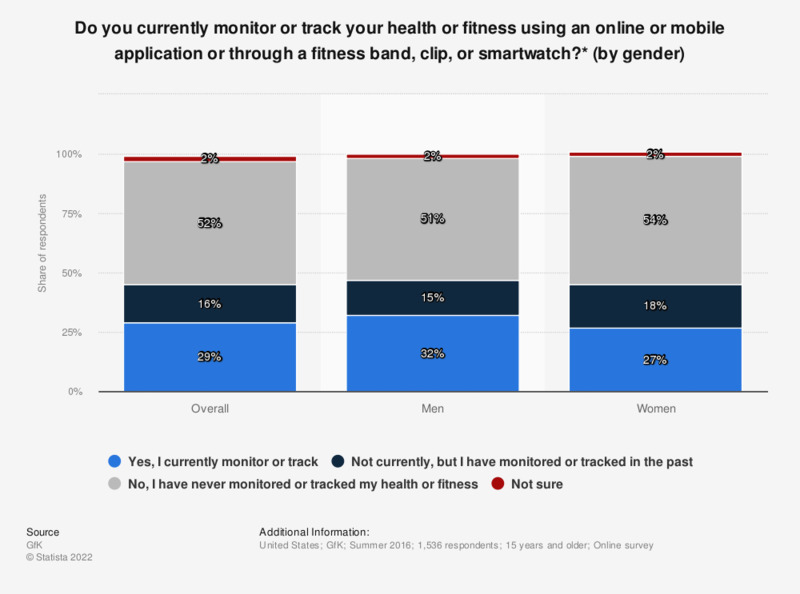 The statistic shows the share of survey respondents, by gender, who currently monitor or track their health or fitness via an online application or fitness device in 2016 in the United States. Overall, 29 percent of respondents said that they currently monitor or track their health or fitness. * This could range from monitoring your diet, weight, or health concerns to tracking your steps or other exercise.